Good fun! I learned how to make stereographic projection. 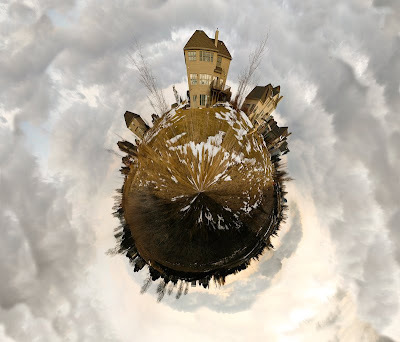 Or rather, making a planet out of a panoramic shot. Fricken sweet. Our house is at the top.